On March 16, 2018 Marty received the dreaded confirmation of her breast cancer. 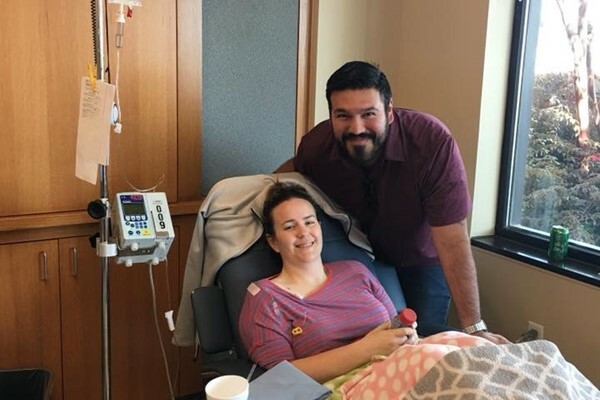 This rapidly moved into a series of tests a pet scan, an MRI, a CT and bone density scans and finally a liver biopsy to determine the severity of her condition. On April the 9th we learned that she has Stage 4 Metastatic breast cancer, which means that it is no longer just in her breasts but has mastasized to the liver, the lining of her lungs, the lining of her heart and her bones. Needless to say, starting treatment was urgent and that began with her first chemo treatment on April 12th. She has now had her 3rd treatment and with each treatment, while extremely exhausted, she has seen relief in her level of pain. For that we give thanks and are encouraged that she is seeing results. She sends her thanks to all of you that have already sent your prayers and words of encouragement as she walks down this path that she has been given. Even though we may not understand we do know that "God has got this" and any and all prayers or words of encouragement are greatly appreciated. Updates on her journey will be made to this website every Monday evening or more frequently if urgent updates arise.